Datenbankpflege, Erfassen von Arbeitszeiten etc. Zufriedene Kunden und Spaß an der Arbeit! I read this article and found it very interesting, thought it might be something for you. 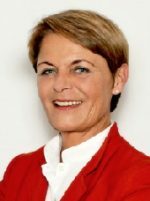 The article is called Martina Knill – Büroorganisation, Büroservice and is located at https://www.buerodienste-in.de/bw/buerodienste-donau-iller/martina-knill-bueroorganisation-bueroservice/.